In this moody photograph by Jack Kausch, we see Henry Scripps Booth with his plants, prints, antiques, and drawings in the Thornlea Studio alcove. Henry Scripps Booth at his desk in the Thornlea Studio alcove. October 1981. Courtesy Cranbrook Archives/Jack Kausch Photographic Collection. Henry designed Thornlea Studio as a working retreat behind his house, Thornlea, off Cranbrook Road. 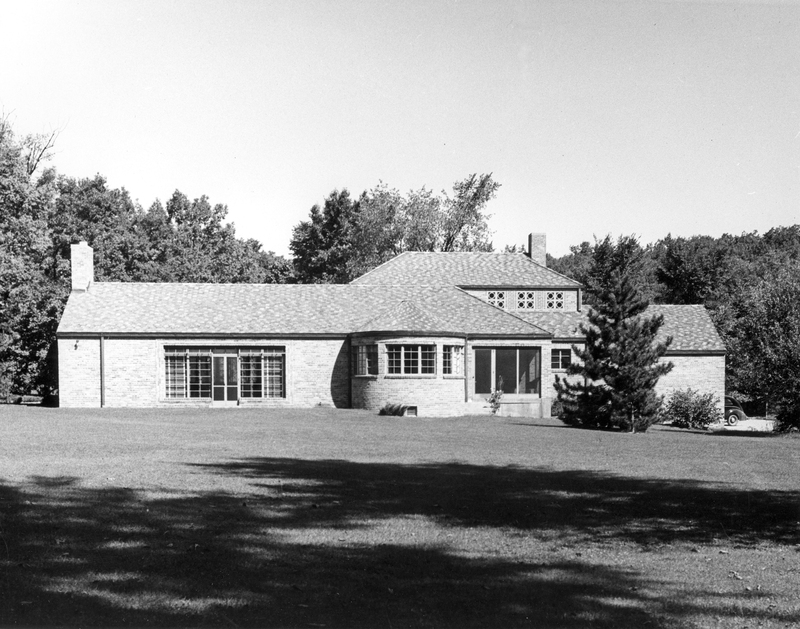 Completed to his own designs in 1937, here Henry worked on architectural projects for himself, for Cranbrook (like redesigning the Art Museum bathrooms and building the Cranbrook House gatehouse), and for friends and clients. 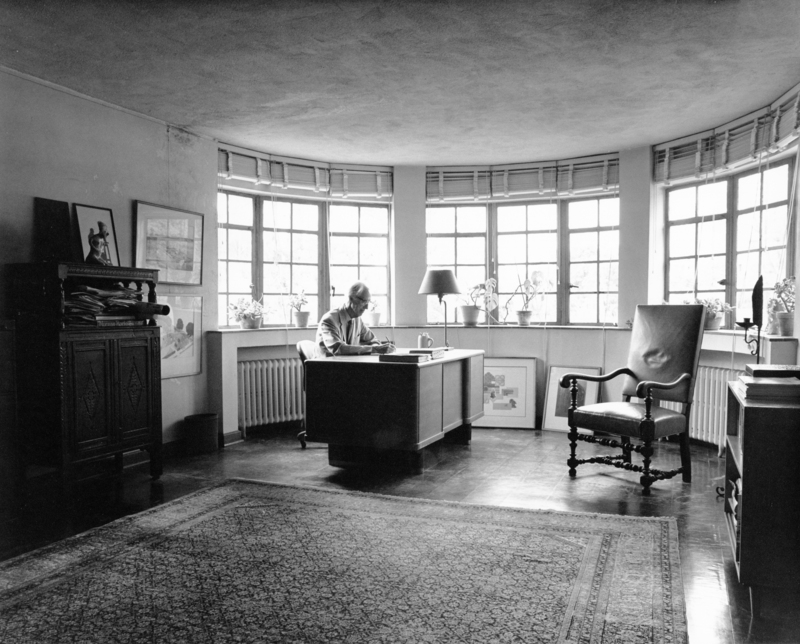 He also used the studio as a place to write and read next to the cozy fireplace or beautiful expanses of windows. Henry built this studio in 1937; in 1988 it was converted into the home of the Cranbrook Archives. Richard G. Askew, photographer, 1940. Copyright Cranbrook Archives. After Henry’s death in 1988, the studio was converted into a home for the Cranbrook Archives. The Archives were begun in part through Henry’s efforts sifting and organizing the Booth family papers and ephemera held at Cranbrook House. Relocated from the (very wet) basement and (very hot) attic of Cranbrook House, the Archives and its professional staff moved into Thornlea Studio. The most significant change to the building involved converting the Studio garage into a vault, with the reading room occupying the first floor drafting room and the alcove and offices on the second floor. 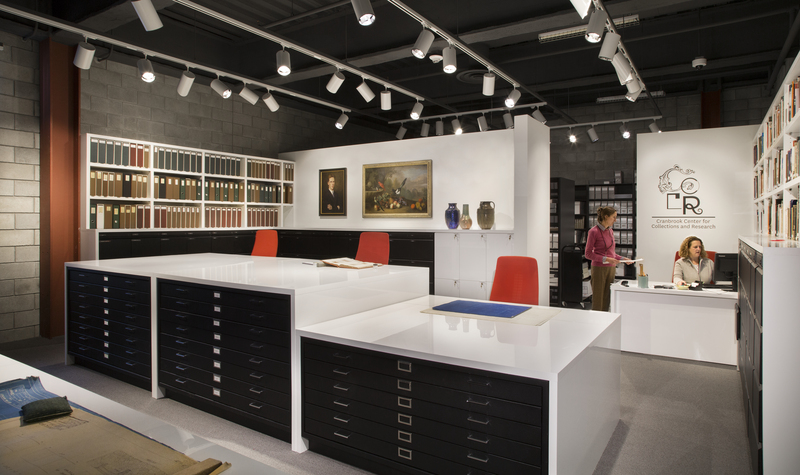 In 2012, the Archives offices, Reading Room, and certain parts of the collections were moved into the lower level of Cranbrook Art Museum. This summer, with the help of former Art Museum Preparator Mark Baker and Cranbrook Capital Projects, we moved again, into the Collections Wing. The new Archives Reading Room in the Cranbrook Art Museum Collections Wing. PD Rearick, photographer, 2018. Courtesy of the Cranbrook Center for Collections and Research. In our beautiful new Archives Reading Room, we’ve hung a 1922 portrait of Henry Booth to commemorate his efforts to create and steward Cranbrook Archives. To visit our new Reading Room, see treasures from the Archives, and hear new research from five patrons of the Archives, come to our Open Archives event this Sunday from 1 to 5pm (short talks begin at 3pm). More information is available on our website. Register online or at the door for this free event, and join us Sunday to celebrate Cranbrook Archives and see the new Reading Room! Editors Note: The Archives is also excited to announce new hours! We will be open on Tuesday to Friday 11 to 5pm and the second Saturday of each month, 11 to 5pm.